Metal tin marked 'U.S. 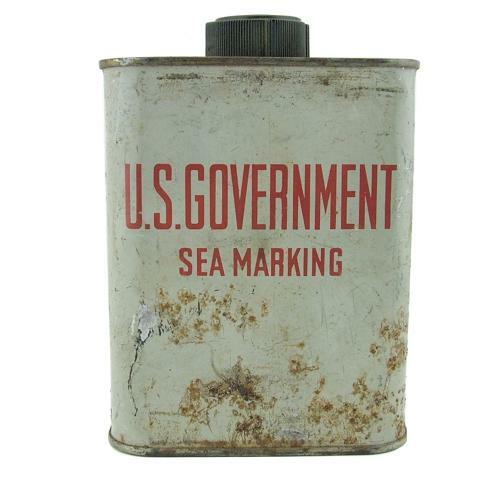 GOVERNMENT SEA MARKING'. Approximately 13 x 10 x 4cm. Contains fluorescene dye powder used in conjunction with USAAF & USN lifevests and dinghies. Surface wear and corrosion but in sound condition. With contents. Stock code S22391.